Stop right there, turn around slowly, and DROP that picture in your mind of the little guy on the Lucky Charms cereal box. That jolly little imp, and his counterparts on greeting cards, pub signs, and your Aunt Margaret’s stationery, bears almost no resemblance to the leprechauns of Irish mythology. To borrow a phrase from a long-dead philosopher writing about something entirely different, they were “nasty, brutish, and short.” Leprechauns were grumpy, insufferable elves in the employ of Irish fairies. They made shoes for fairies (hence their depiction as cobblers) and guarded their treasure which to the leprechauns’ eternal frustration was revealed occasionally to mortals by a rainbow. Somewhere in the course of the Irish American experience, the leprechaun took on the characteristics of the loveable, but ultimately contemptible, stage Irishman. 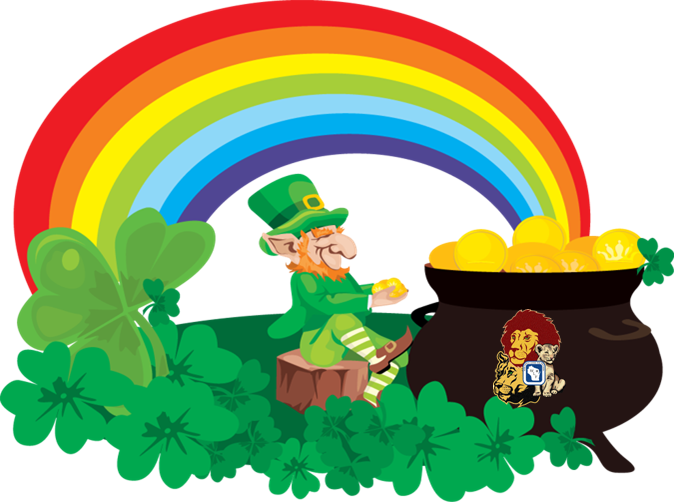 It may be hard to believe, but the Lions Pride Endowment Fund and leprechauns actually have a lot in common. While we are not grumpy, insufferable elves (at least we don’t think so,) in a way we play the role of guardians. As “Today’s Help” we need only to look out our window to see rainbows revealed each summer in the eyes of campers with special needs as they explore and learn from their experiences at Lions Camp. As “Tomorrow’s Hope” we guard the treasures entrusted to us. We protect all donations made to the fund; donations are deposited into the endowment fund and no donor dollars are spent for administrative/operating expenses. Rainbows are also seen as a covenant or promise and the Lions Pride Endowment Fund Board and Staff are proud of our promise to preserve, protect and provide for Lions Camp and all WLF statewide projects. Unlike leprechauns; however, we feel no frustration when it comes to guarding our treasures. We only feel happiness, satisfaction and appreciation. We are so glad knowing our work and your help goes to supporting Lions Campers and others we serve. To make your tax-deductible donation, please visit our website. Thank you for your support and Happy St. Patrick’s Day!